More sightings of Not Dark Yet! 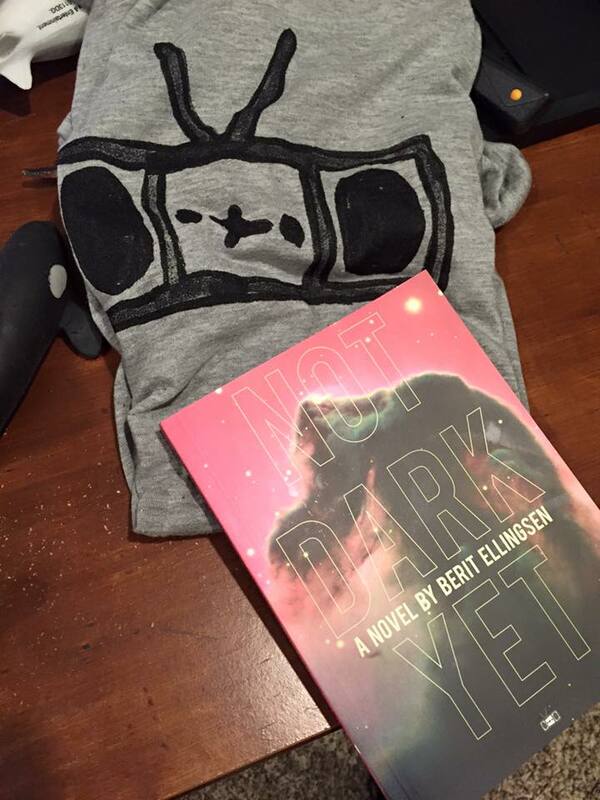 Thank you to all of you who sent in pictures of the book! This one’s by writer Patty Yumi Cottrell, whose work in Gulf Coast, Black Warrior Review, and other places you should read. This photo was taken by writer and editor Ryan Bradford of artist collective So Say We All, along with one of Two Dollar Radio‘s excellent t-shirts. 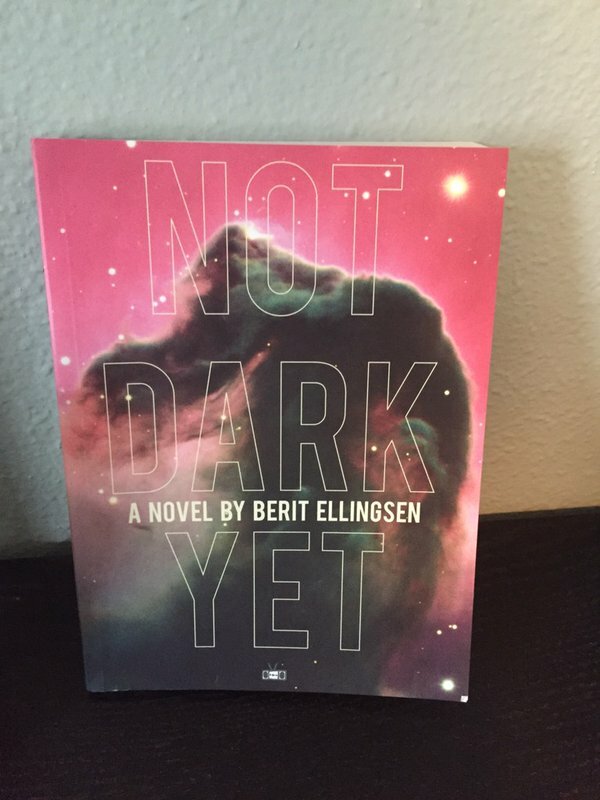 Writer Greg Bossert‘s book haul includes all three of my books, The Empty City, Beneath the Liquid Skin, and Not Dark Yet. Thank you so much for acquiring all three books, Greg! 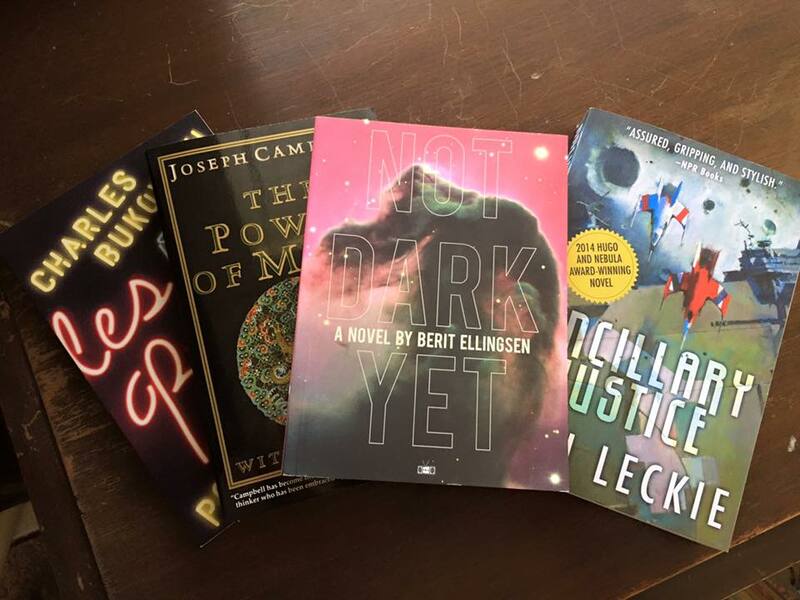 I hope you enjoyed them and the other books in this haul! 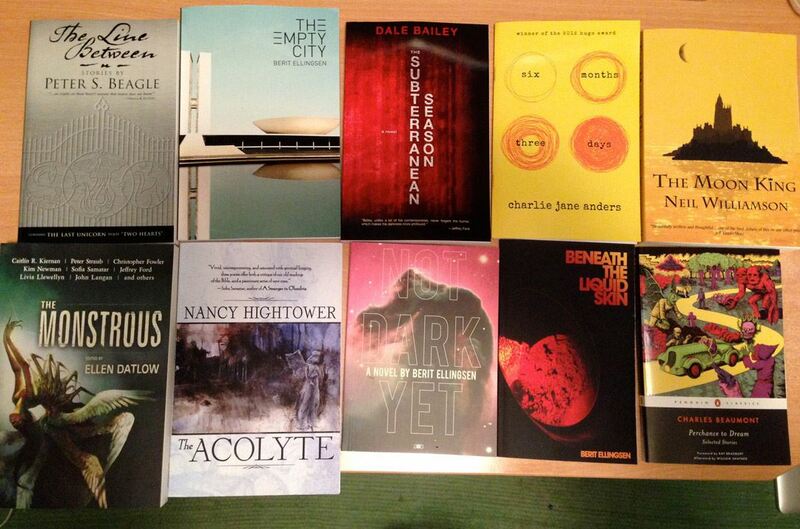 And this book haul is by writer Richard Ellis Preston Jr., who also interviewed me for his blog. Thank you so much again, Richard! It was a great pleasure to be a guest “on” your blog. 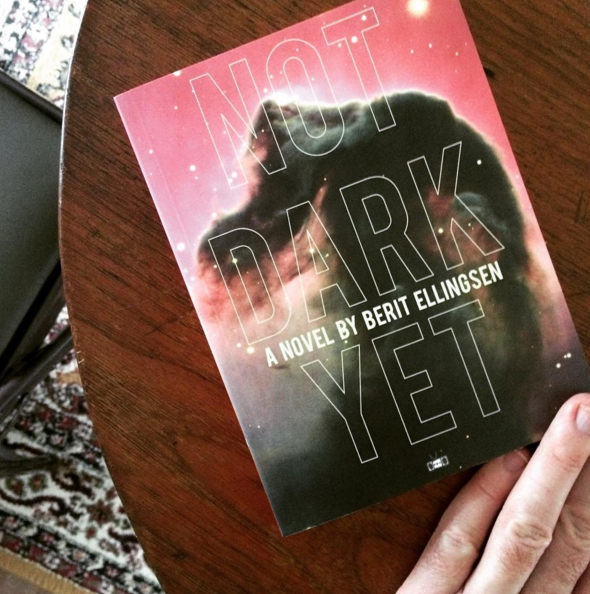 Here’s writer Jeremy P. Bushnell‘s second sighting of Not Dark Yet. Check out Jeremy’s book The Insides when it’s released next year! ← Table of Contents for flash fiction in Lightspeed!